Access to the show is controlled. 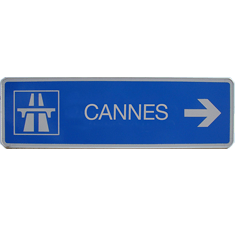 Badges delivered by IPEM are mandatory for all persons requiring access to the Palais des Festivals. Participants can collect their badge at the registration desk upon presentation of a valid voucher. The registration desk opens on Tuesday, January 22, 2019 at 9 am and closes on Thursday, January 24, 2019 at 6 pm. Participants can download and print their entry voucher from their personal myIPEM account. Badges are nominative, personal and non-transmissible. Located 27 km from Nice Côte d’Azur airport, Cannes can be reached in less than 30 minutes. Hosts and hostesses will welcome you upon your arrival at the airport and make sure to answer your questions and guide you to your transfer arrangement. Benefit from reduced rates to fly to Nice on AIR FRANCE, KLM and partner airline network. The city of Cannes has excellent connections via TGV, Corail train and express train which link it to all French regions and major European cities. The Nice airport is located at 27km from Cannes. Taxis at your service for trips and transfer. Shuttles run between the airport and Cannes in around 45 minutes. Departure from the airport at 8 am and 9 am, then every ½ hour until 7 pm and at 8 pm. During the IPEM, the company AZUR HELICOPTER provides flights between Nice Côte d’Azur airport and Cannes Helipad (near to the Palais des festivals). Book your hotel & benefit from the best deal! We have negotiated the best deals with hotels located within a 10 minute walk from the Palais des festivals. Booking is quick and easy, just click on your favorite hotel below! Best price guaranteed – Breakfast included! Beware of fraudulent providers. We recommend you not to make any commitment with an unknown provider. Only trust communication from IPEM.